Route. 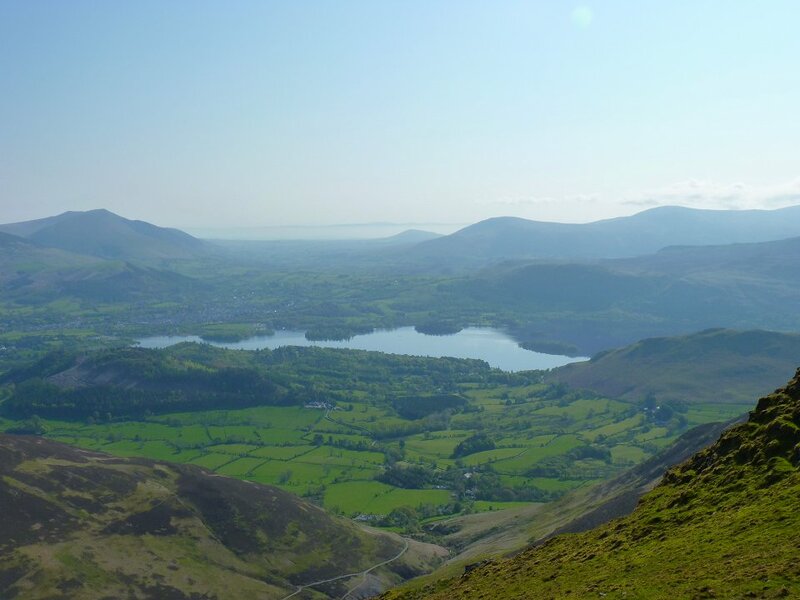 Day 1 - Chapel Bridge - Hause Gate - Cat Bells - Maiden Moor - High Spy - Dalehead Tarn - Dalehead - Hindscarth - Robinson - Newlands Hause - Knott Rigg. 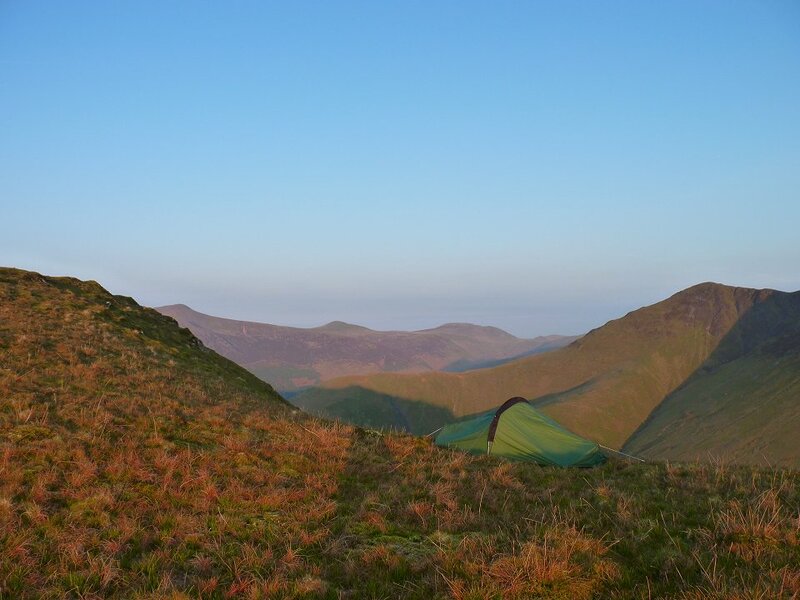 The prospect of a bit of fine weather gave me the chance to fit in another quick overnighter. 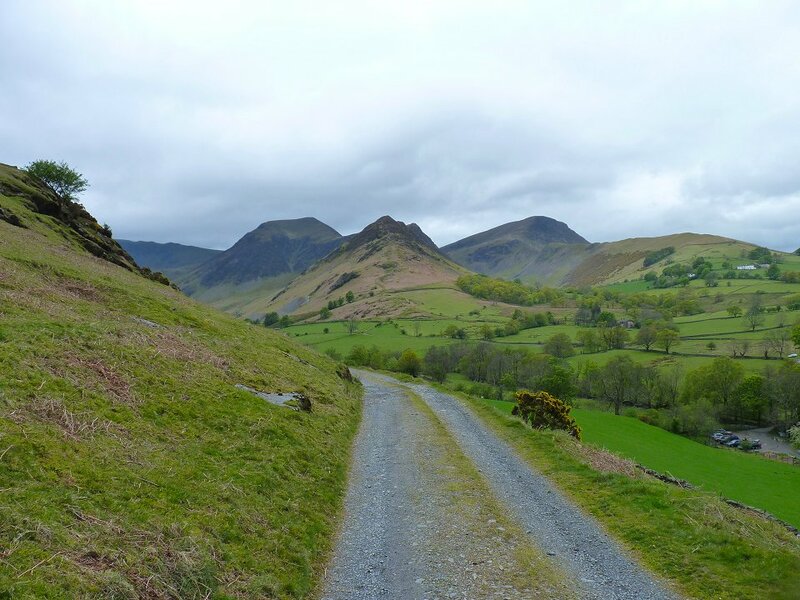 This time I headed to the fells around the lovely Newlands valley. 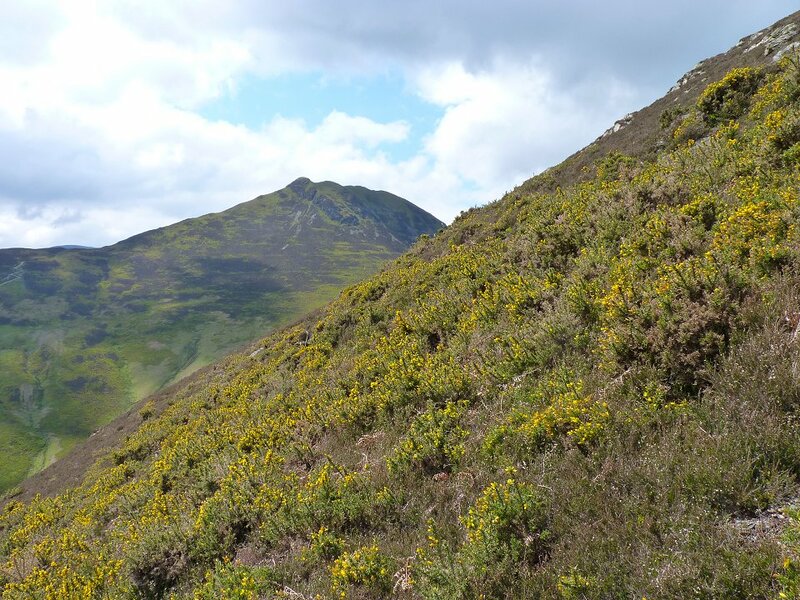 Looking over to the distinctive Causey Pike. 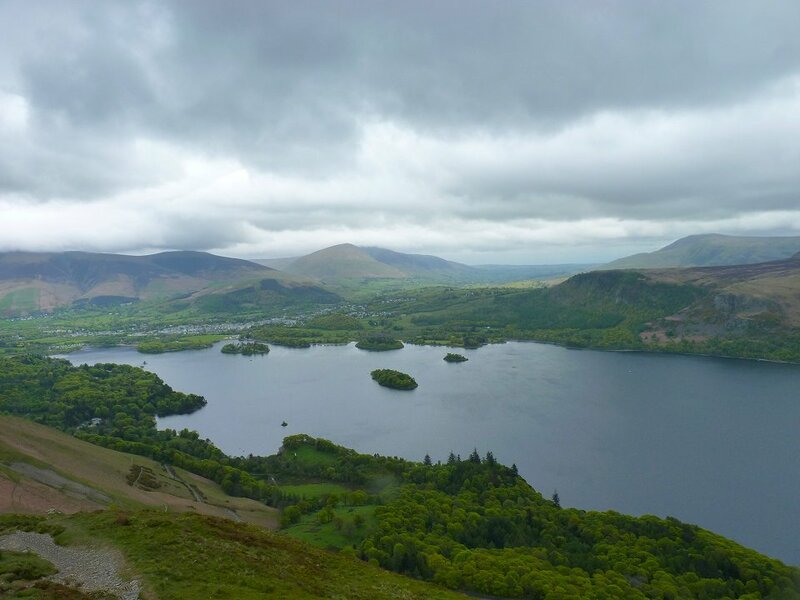 Derwent Water and Keswick from Cat Bells. 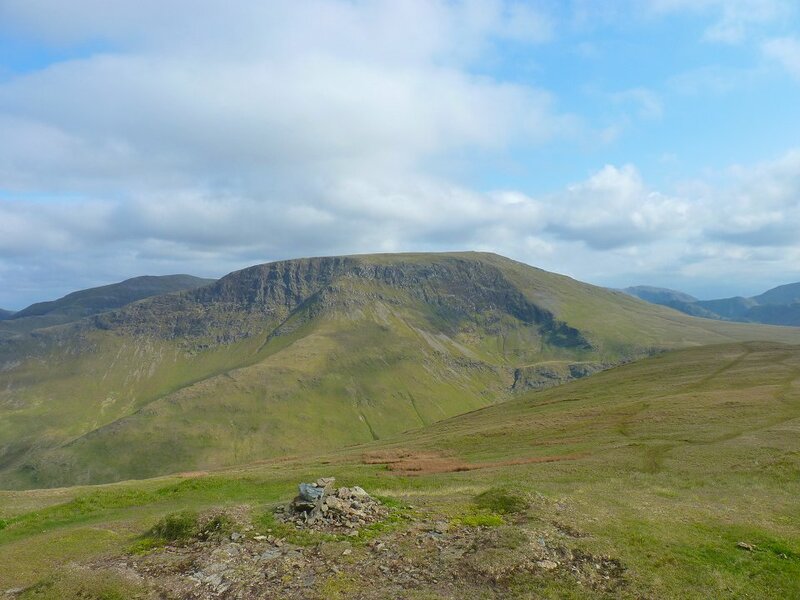 Unusually I had the summit to myself but looking down I saw an army of people climbing up from Hawes End. 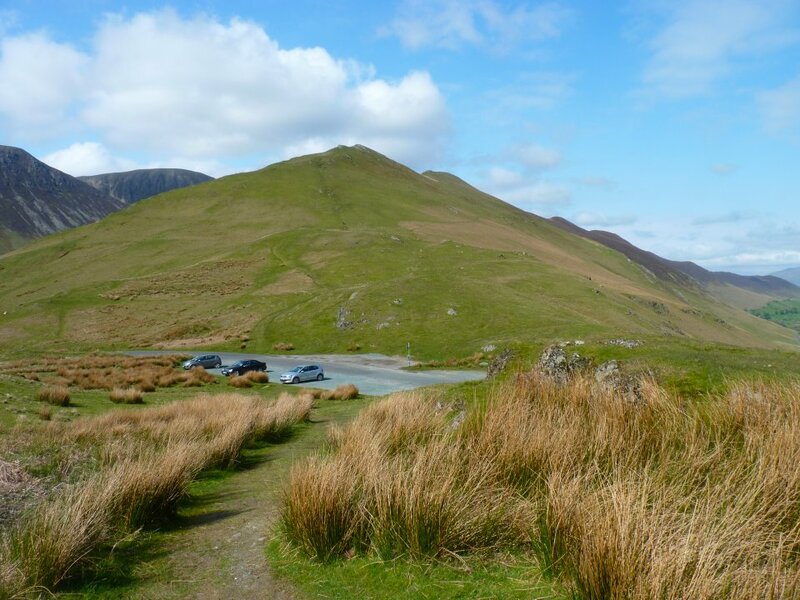 It's fairly easy walking over Maiden Moor and. then to High Spy. 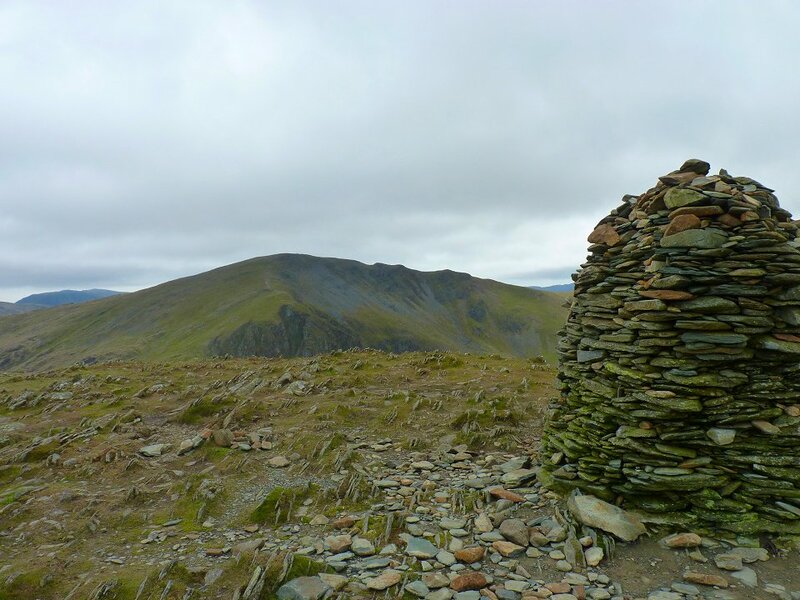 This looking past the cairn over to my next fell, Dalehead. 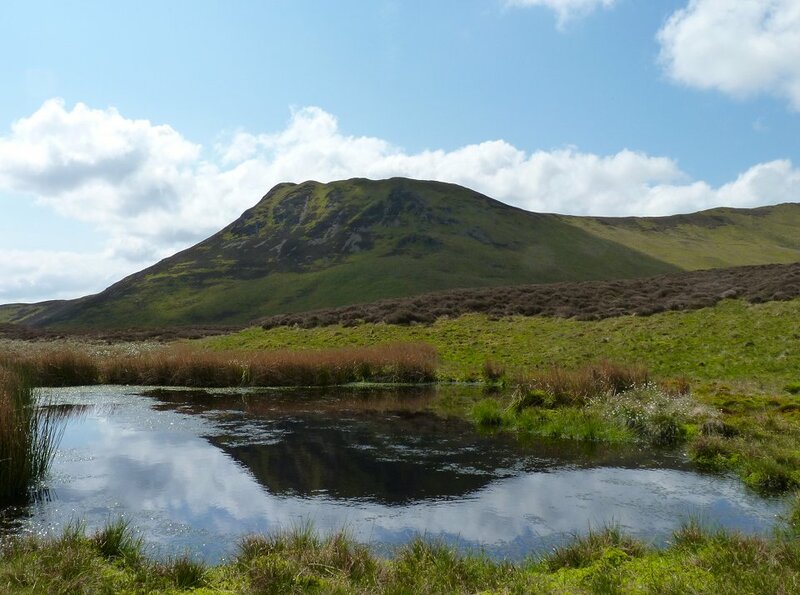 But first I had to drop down to Dalehead tarn and the start up on the steep path to the summit. 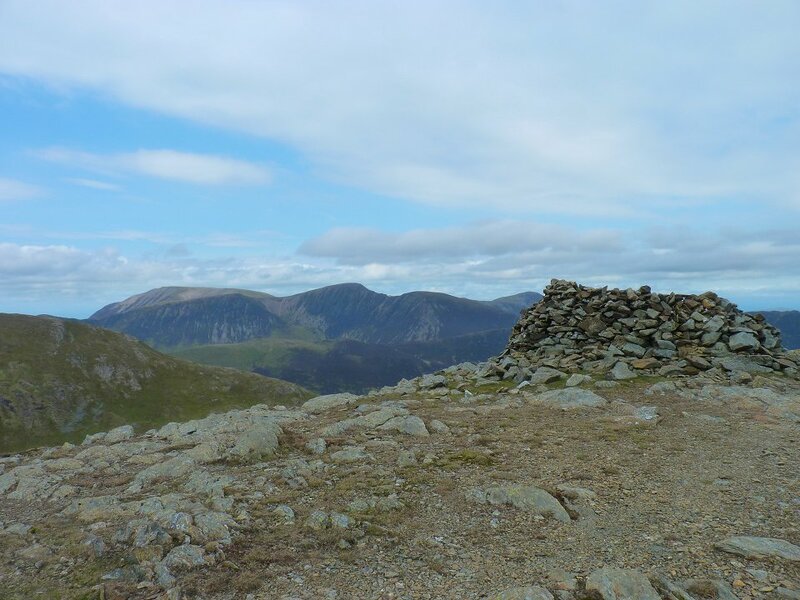 Te view back along the ridge from the nearly identical cairn on Dalehead. 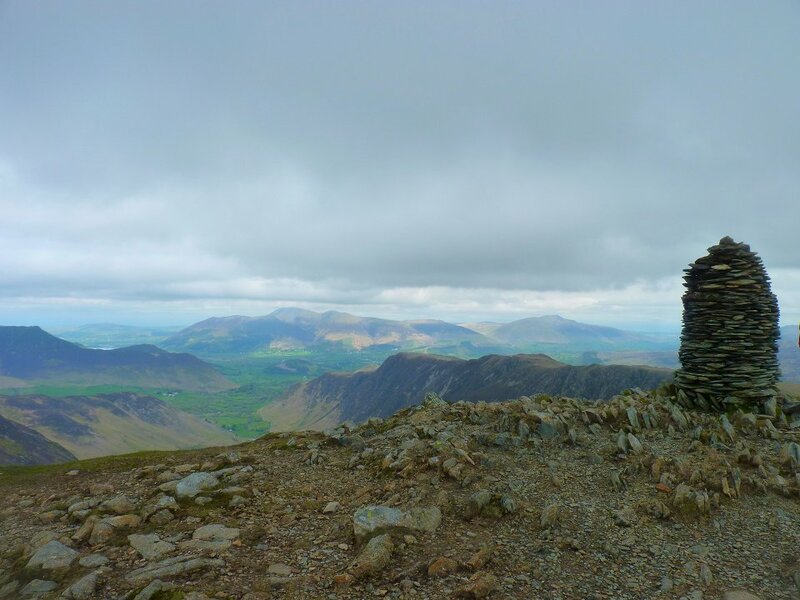 The weather seems to be picking up on the walk around to Hindscarth where Buttermere and it's attendant fells appear..
Grisedale Pike from the northern shelter cairn on Hindscarth. 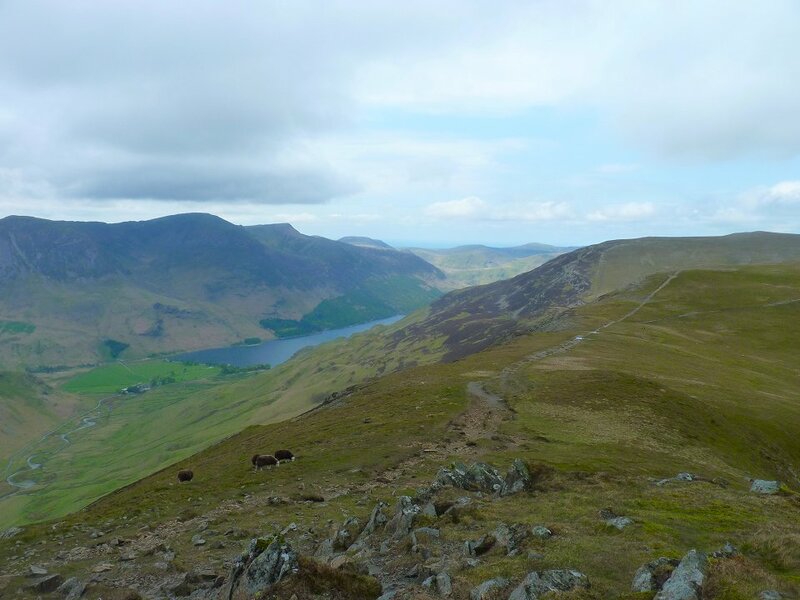 After another drop down and back up again I reached Robinson from where there is a good view of Crummock water with Loweswater beyond. 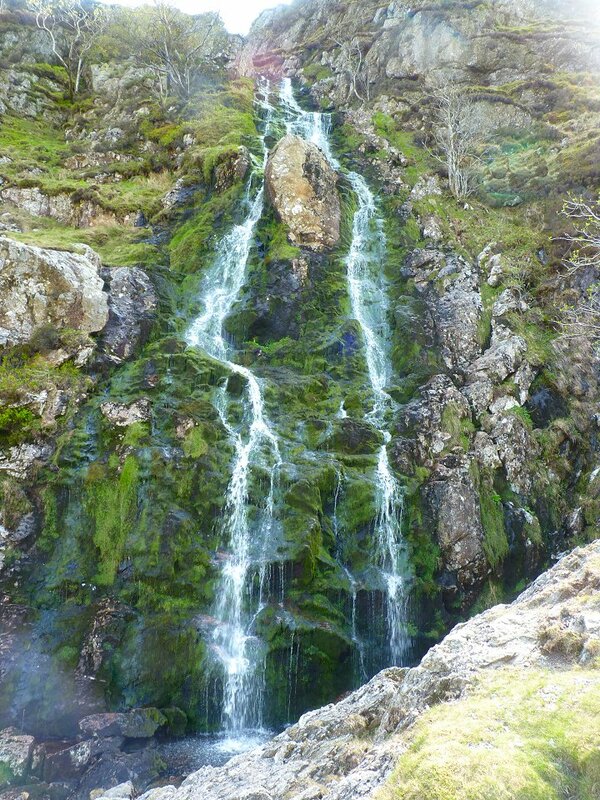 The pretty impressive waterfalls of Moss Force. 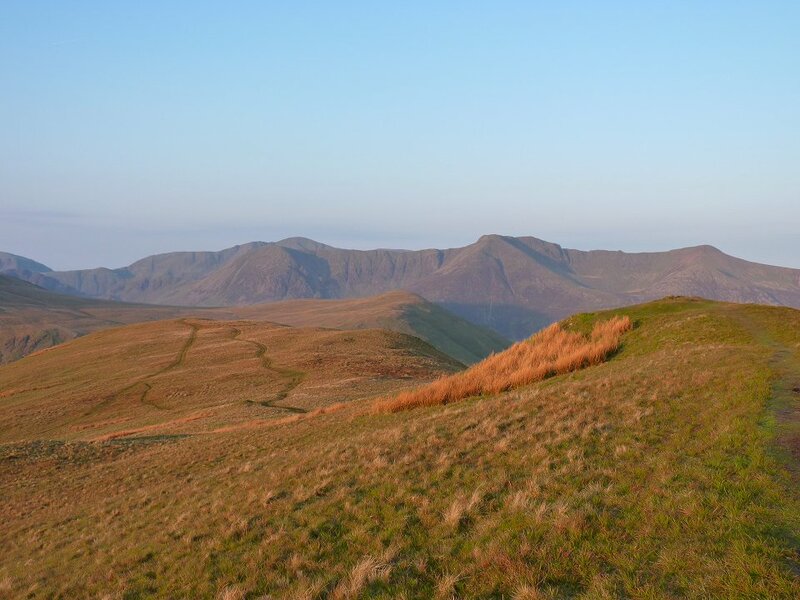 The Knott Rigg / Ard Crags ridge from Newlands Hause. 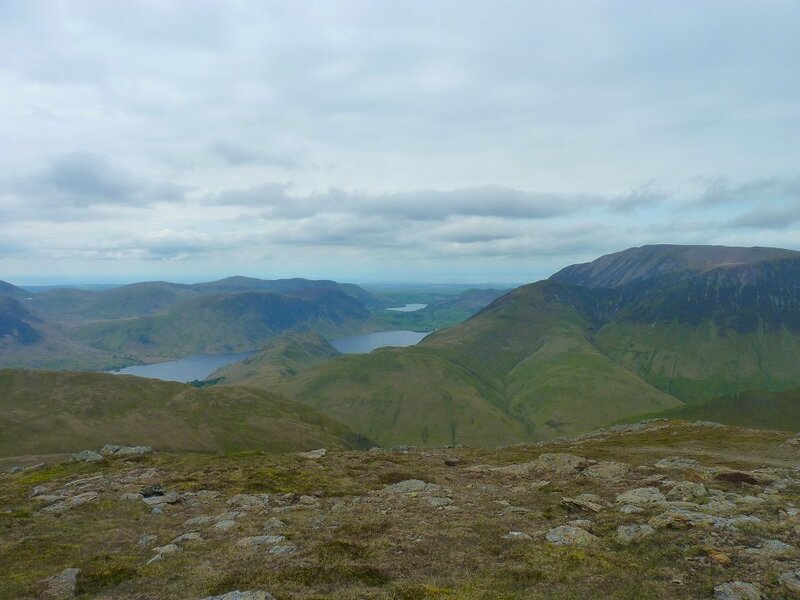 Looking back accros to Robinson from the top of Knott Rigg. I found a lovely spongy soft pitch just off the path so I pitched up in the afternoon sun. The only disappointment was that the evening became a bit cloudy so there was no real sunset views. 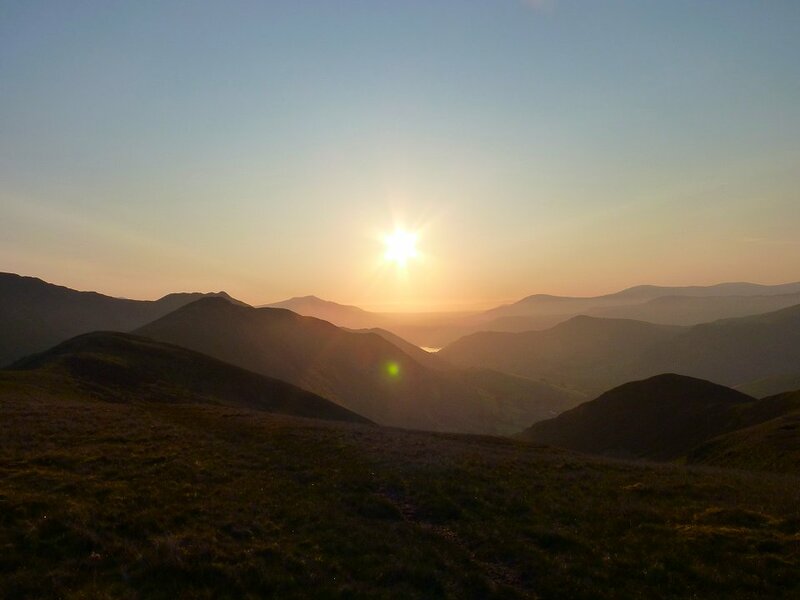 Sunday morning was glorious though and the fells were bathed in a lovely red light. 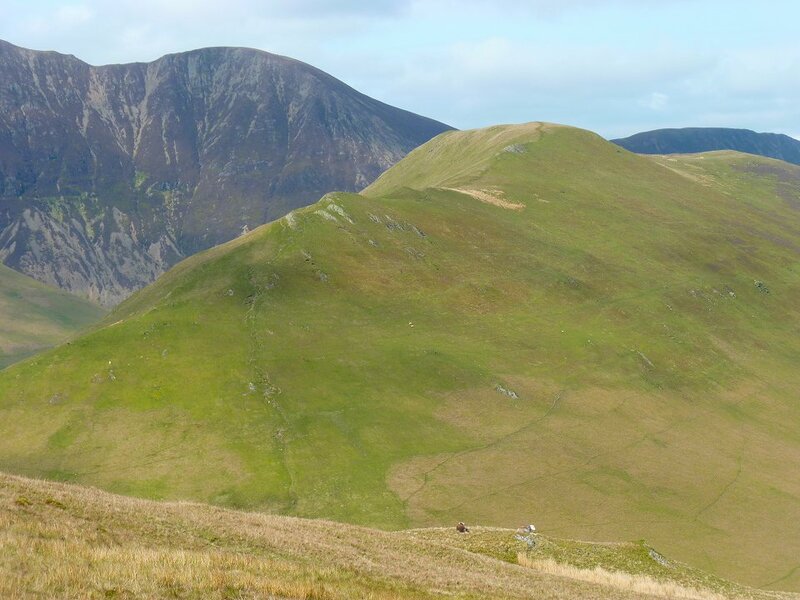 Looking over to the High Stile ridge. 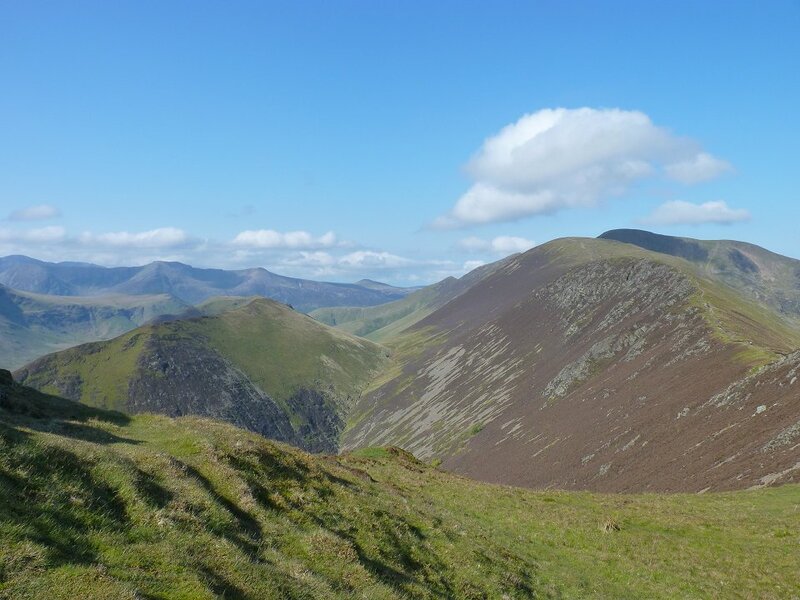 After visiting Ard Crags I set of down the steep side of the fell to the Rigg Beck valley and then climbed up to the col between Sail and the Scar Crags/Causey Pike ridge. 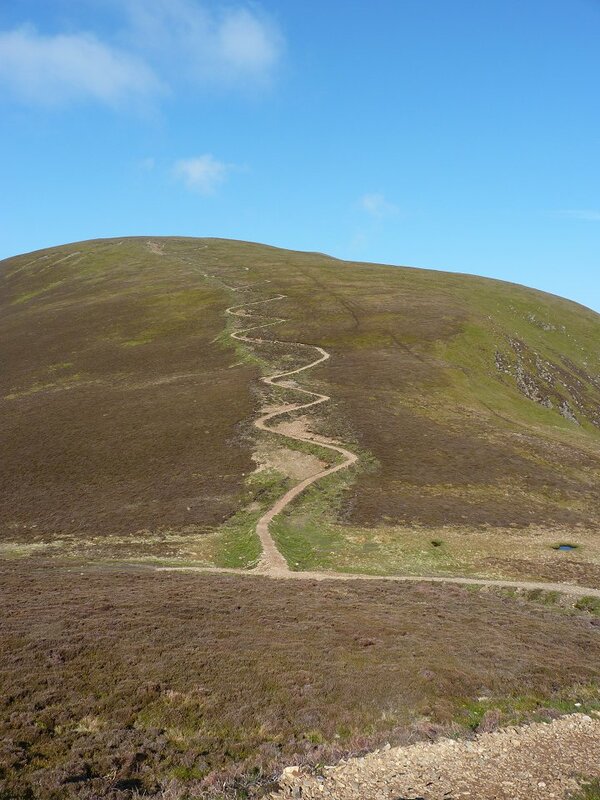 The new path up Sail. We have to hope that in time it will blend in a bit better. 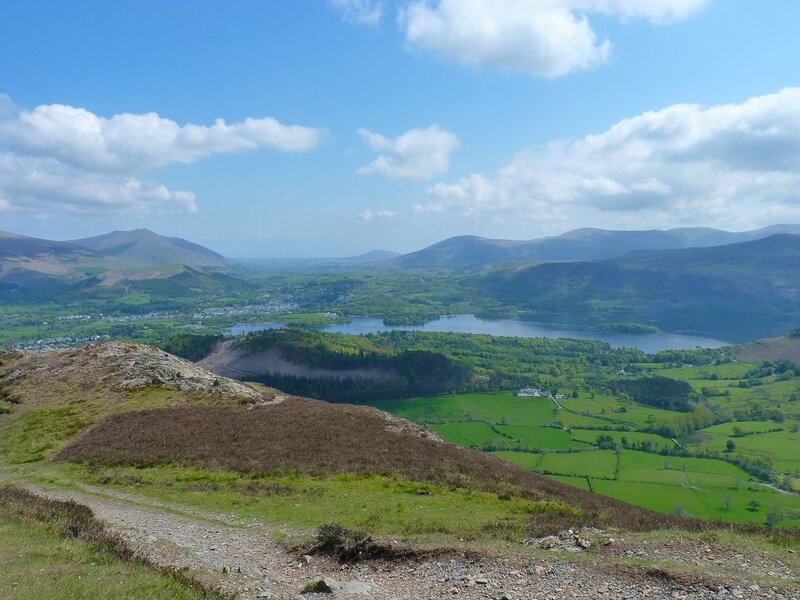 Derwent Water and the misty Pennines in the distance from the ridge. 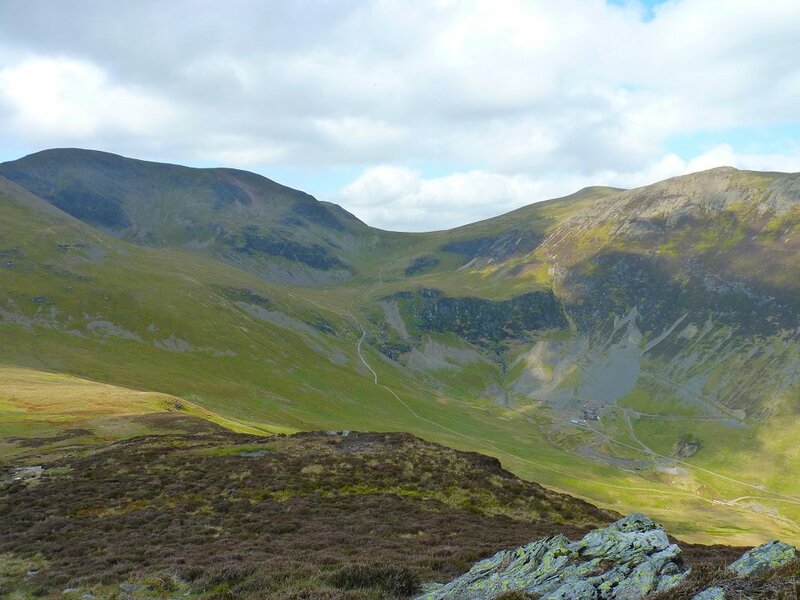 Looking back to Rigg Beck valley with Ard Crags on the left and Sail on the right. 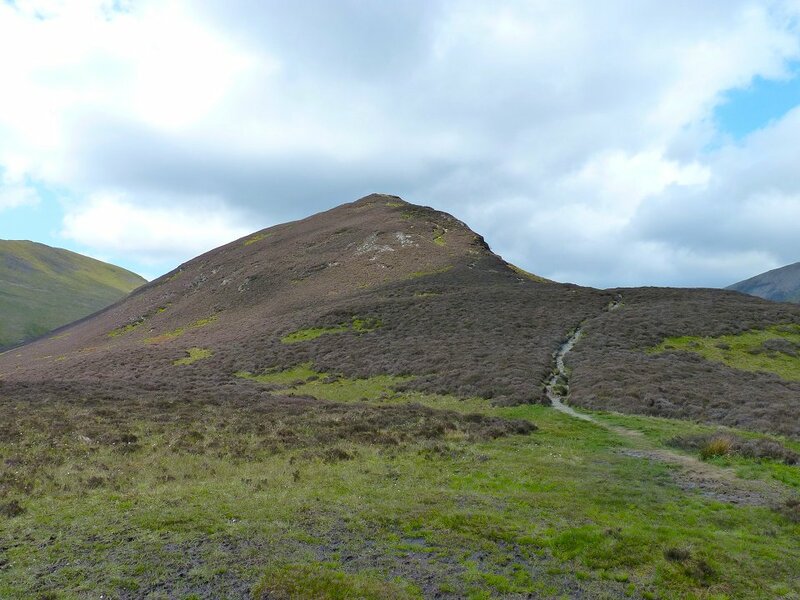 After my brew I retraced my steps to a small col from where a muddy path descends to meet the Stoneycroft Gill path. 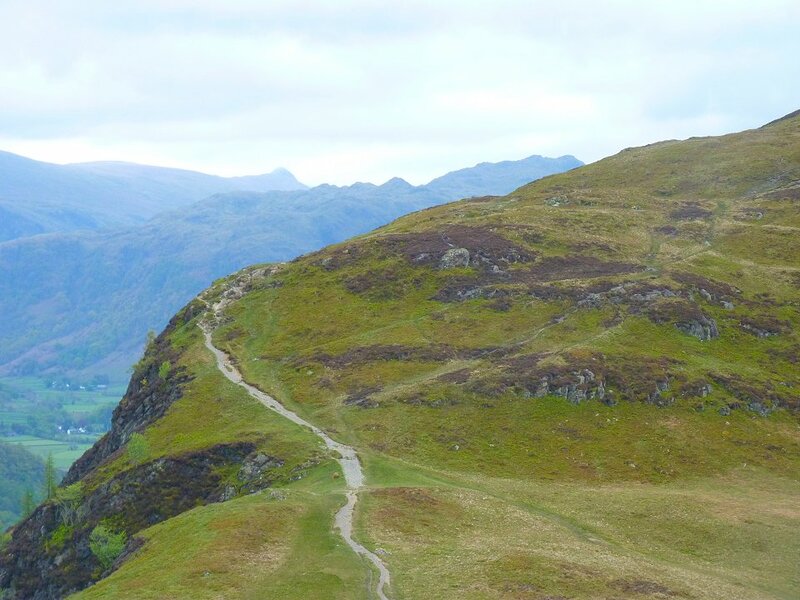 The path visible is not that one but is the the Force Crag mine path from Braithwaite. 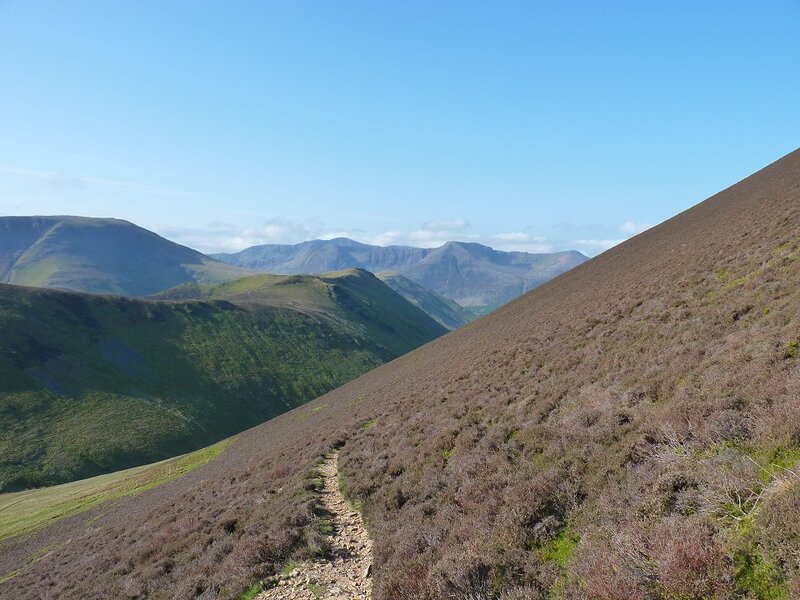 The path splits just before the mine and heads on up to Coledale Hause. Once down to the path I set of up again over Outerside. 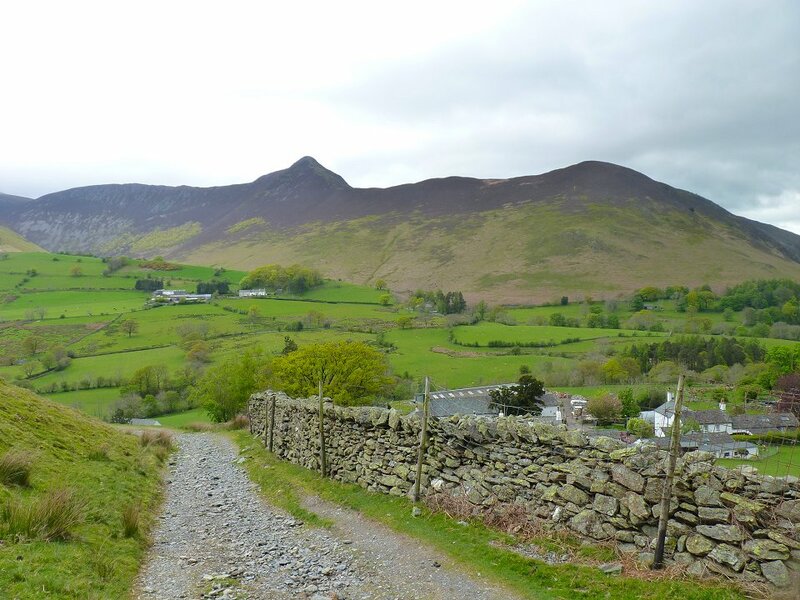 This is looking back at Outerside from the path to Stile End. 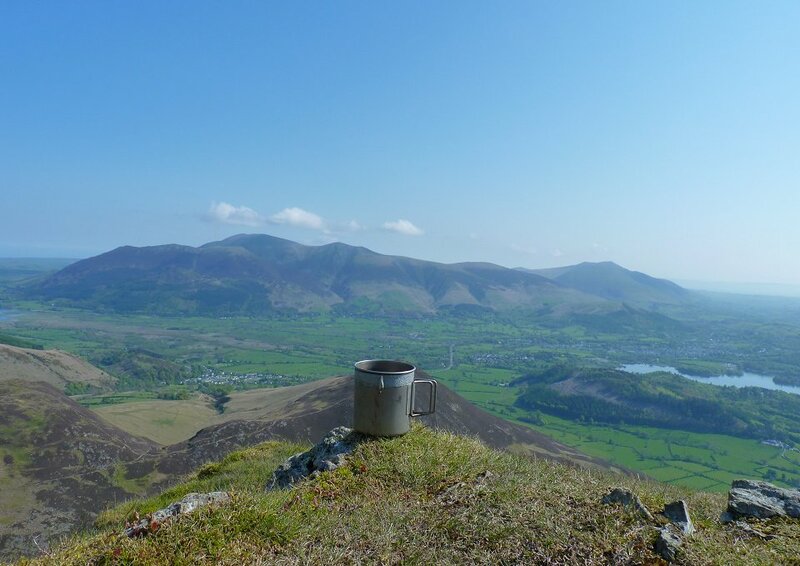 My brew stop (Causey Pike) from the little pond at the foot of Stile End. 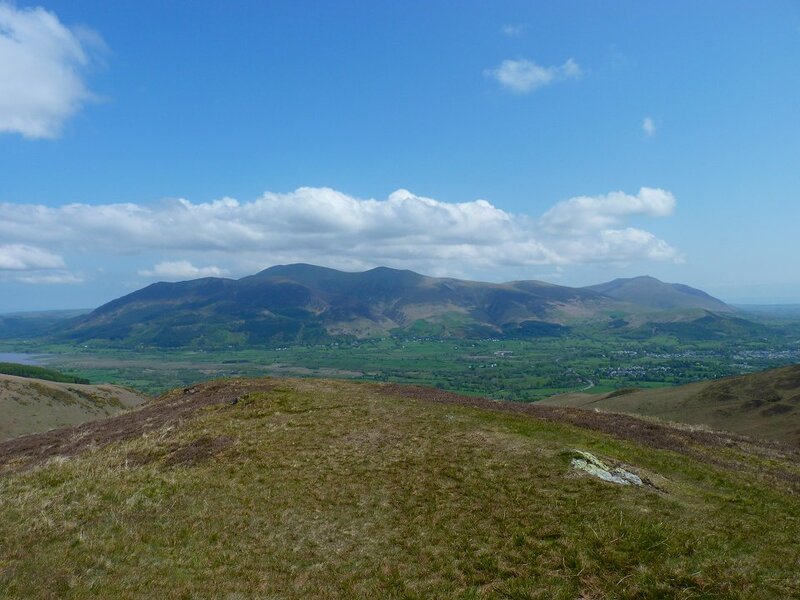 Skiddaw and Blencathra from Stile End. 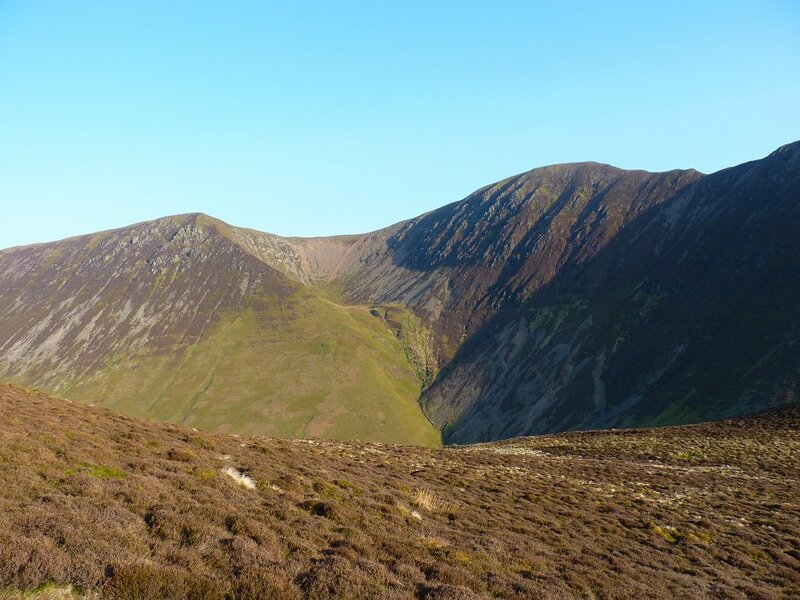 Causey Pike again from the steep direct route down the side of Barrow to Stoneycroft Gill bridge from where it's about a twenty minute walk back to my car.